Words make a difference. Language makes a difference. Numerous studies have shown that there is bias in our recruiting process, and that the words we use will influence the candidates that we see applying. The language we use will also give clues about whether certain roles are male or female, and this will influence young people's perceptions of what is done by 'people like them'. The WISE Campaign People Like Me initiative uses language to show girls that there is a roles in STEM for girls. Kat Matfield has produced a Gender Decoder to analyse whether job adverts are male or female biased. Try it out here on your own text. You can also find out what gender your brand is, and test your own brand here at textio.com. 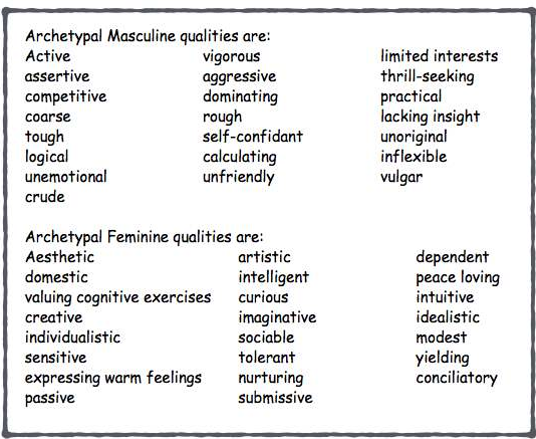 Below are some of the words that appeal to men versus those that appeal to women, and some of the archetypes that are attributes to men compared women. Inclusive language has been used successfully by a number of companies to increase their diversity, such as Network Rail and DSTL. Links to articles on this subject. Original research links found within these articles. 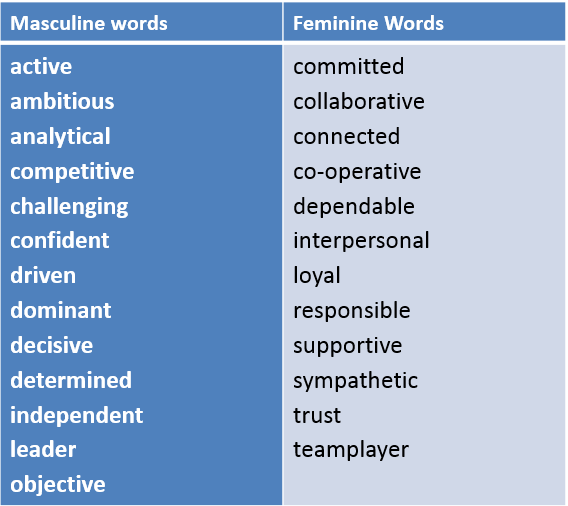 Semiotics of Brand Gender: What gender is your brand?